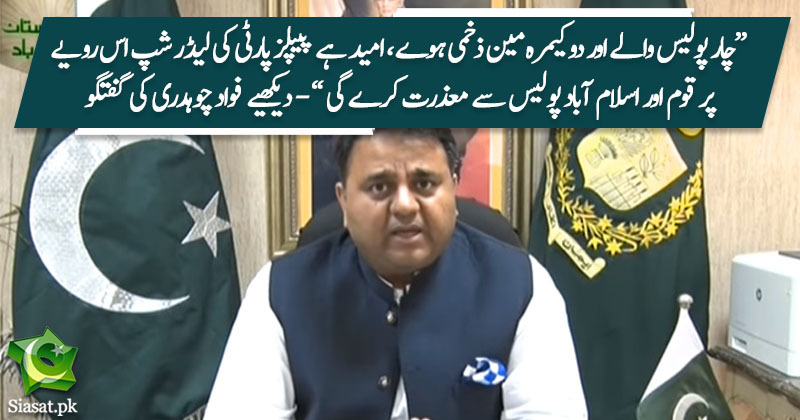 Ch.Fawad just said PPP wanted to demonstrate how dare any one in Pakistan called Asif, Bilawal or Faryal Zardaris for accountability, this is exact what they are sending message, and this is what he(Asif) has said many times on air. I insist to check on the reporter who asked Asif are you scared of NAB , are you surrendering, this is the beginning of undermining the Law and mockery of justice. STRICT ACTION IS REQUIRED WITHOUT ANY DELAY. IF DELAYED THEY WILL ASSURE THEIR PAID GOONS NO ONE WILL EVER DARE DOING ANY THING AGAINST ANY OF YOU. However, it was the MNA himself who took the law into his own hands!!! He is trying to prove that he will be their loyal slave if and when he comes to power.